Content Marketing Service was founded because we know you want to be a goal-oriented and successful business owner or manager. A big part of that success rests on being able to repeatedly produce original, engaging content that is readily shared by your existing customers and attracts, engages, and educates your ideal customer. In order to do that, you need a system to produce real, relevant content on a recurring basis… And it needs to happen in a way that doesn’t pull you away from the work that drives profit for your business. The problem is that even though you know you need to create the content on a consistent basis, you simply don’t have the time to do it or a good strategy to convert your efforts into business growth. This makes you feel like no matter how much you try, you’ll always be behind or split between marking for future growth or handling the day to day necessities of the business. We believe that every business should be able to connect with their existing clients and customers and that content creation shouldn’t be a tradeoff between the business operations needed today and the marketing efforts needed in the future. We understand that your job of operating the business is hard enough on its own. Let’s face it, you didn’t go into business to be a marketer. This is why we created a Content Marketing Service. 1: We schedule a meet-up, either by phone/Skype or in person. During this meeting, we’ll briefly discuss your immediate and long-term business goals so you can see how a custom content creation plan can help you achieve them. 2: During this initial session we identify areas where your existing marketing efforts can be strengthened and clarified so that the content we produce aligns perfectly with your existing promotional calendar and goals. 3: We’ll work together to put together a custom packaged, or select from our pre-packaged offerings. Then we show up and help you create a month’s worth of content in an easy afternoon. Sound good to you? Let’s schedule a time to talk so you can stop spinning your wheels and feel torn between running your business or marketing to grow it and instead focus on what you do best and leave the content creation to us. Want to learn more about why this service was created in the first place? My name is Anthony Veltri. In 2005, I finished grad school and founded a small company focused on providing specialized technical incident management services to the wildland fire community. As it turns out, 2005 would see no substantial wildfires aside from those in Arizona and Nevada. The big disaster that year was Hurricane Katrina. Take a look around wherever you are right now. Close your eyes and try to imagine that 8 hours from now, the only possessions you and your family will own are the clothes on your back. Everything else has been destroyed by a storm surge almost 30 feet high. Open your eyes and realize what you just imagined was a reality for many residents of the Gulf Coast following the landfall of Hurricane Katrina. The first deployment my small company served was to aid the Urban Search and Rescue Task Force teams from various states in handling the complex mapping of debris fields where victims were thought to be located. We did great work, collaborating with many federal, state and local partners. Upon our return home, we were welcomed by the governor during a celebration held in our honor. Everything was looking up for my fledgling business. Yet less than a year later, we were out of business. Why? That is the question I asked myself for many months. It turns out, my training as a scientist had doomed me from the start. You see, most scientists are averse to sales and marketing. In their world, the science (in theory) speaks for itself, and efforts at actively marketing or promoting an idea or a product are frowned upon. Below is an excerpt from a letter I wrote to myself back then from the future self I wanted to become. It is written from the perspective of someone who had the skills and experience to help me turn my business around when it was floundering in 2005. I have spent the years since then learning and refining the skills that would have helped me save my business after Hurricane Katrina. Essentially, I became the person I wished I had access to way back then. 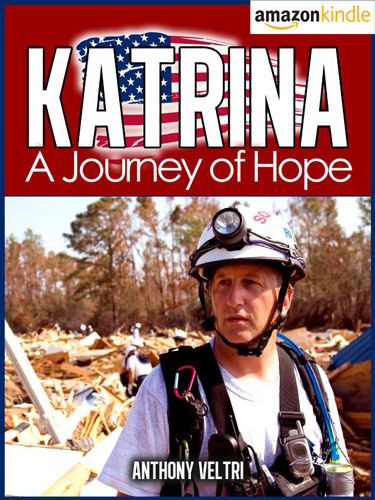 Since Hurricane Katrina, I’ve used these skills in a number of ways… first to help government scientists convey the value of their research to the public, then later, to help government managers and execs appear on camera in a way that gets buy-in from their stakeholders and reflects well on them and their organization. Helping privately-held businesses is where my passion lies, and this Content Marketing Service is the overlap of where skill meets passion. Do you spend sleepless nights worrying about why your business isn’t successful? You started or took over your business with the highest of hopes. You saw a distinct need that you wanted to fulfill… and your business seemed like the perfect opportunity to make it happen. Even during the best of times, running a successful business isn’t easy. It takes more than excellent products and a target market of hungry buyers. It takes efficient, finely-tuned processes that allow you, your employees, and your vendors to work together seamlessly to provide an exceptional experience for every single one of your customers. You probably never dreamed when you started or took over your business that success could be so complex. Even if you’ve led profitable businesses in the past, you’re going to be faced with unique challenges. And no matter how many management books you read… how many seminars and workshops you attend… how much experience you gain… there are going to be challenges that you fear your business can’t overcome. You’ve spent a TON of time and money developing interview strategies to select ideal employees… but these strategies sometimes don’t weed out people who talk a good game, but can’t deliver results once they’re in the door! You’ve struggled to develop marketing and branding messages that effectively speak to your target customers… and you end up watching inferior competitors eat away your market share! You’ve looked for ways for your managers to effectively increase employee performance and job satisfaction… but no matter what they try, some of your employees don’t perform at peak levels! You’ve been frustrated by stagnant sales (or worse, declining sales)… but you can’t put your finger on why your business isn’t growing! You’ve been talked into adopting the “next big thing” in your marketing – a mobile website, sales videos, etc. – but they always fail to capture your prospects’ attention the way you had hoped! You wish there was someone who could help you finally nail down the problem areas in your business… and guide to you real-world solutions that could increase your profits, foster efficient operations, and let you rest easy when you’re away from the office! My friend, if you’re plagued by any of these challenges (or all of them)… you’re not alone! It’s easy to feel like you’re the only one who is struggling in your business… and that your competitors have a much easier time attracting customers, managing operations, and increasing their profits. It’s almost as if they have found some “secret sauce” that makes their businesses run perfectly on autopilot. But you know that no such “secret sauce” exists, no matter what the business “experts” tell you. So you’re left wondering what exactly it is that your competitors “get”… and that you’re missing! In most cases, it isn’t that your competitors instinctively know how to run a successful business better than you do. Very few of us are hard-wired to be able to step into a business and make everything go perfectly from the start. It’s that they’ve developed strategic techniques for identifying the unique problems that affect their businesses… and for implementing the solutions that bring about real change with minimal disruption. In other words, it’s all about the processes! A Process-Based Approach to Business Challenges Can Dramatically Increase Your Success! Every entity, from small businesses to government organizations, relies on processes to maximize efficiency, control costs, and maximize revenues. But very few of us are taught to look at our businesses in terms of processes. In fact, most of us aren’t even aware of the processes that are already in place in our businesses! Even worse, we don’t have the knowledge, skills, or time to identify the processes that aren’t working, let alone develop solutions to fix those processes and build a better business. Keep running your business the way it is now, and hope that the “kinks” in your business work themselves out eventually. Take time away from what you do best (managing your business and looking for opportunities for growth) to get down “in the trenches” and start trying to uncover the root of the problem on your own. Work with a business expert who can look at your business processes from a fresh perspective and guide you to both the nature of your company’s problems, and the efficient solutions to get your day to day operations back on track. It’s probably pretty obvious to you by now that running your business the same way it has always operated isn’t going to cut it. You can’t rely on your managers and employees to “work out the kinks” on their own. You’ve probably heard the saying “The definition of insanity is doing the same thing over and over, and expecting different results each time.” In no area is this saying truer than in business. If this is the approach you’re taking, you might as well close your doors now and go find something else to do. “Getting in the trenches” sounds like a noble endeavor… and it’s true that taking some time out of your day to understand your business from an operational perspective can help you develop keen insights about areas where your business is lacking. But you have bigger tasks to accomplish… and taking time away from these tasks is as detrimental to your business as ignoring the operational challenges that are keeping you from success! Working with a seasoned business professional, on the other hand, can give you the advantage you’ve been looking for. A business consultant can help you easily identify problem areas that have been right under your nose for years. And he can help you understand the unique solutions that you need to fix these problems and make your business run as efficiently as possible! In short, you get effective processes tailored to your unique needs and objectives… processes that can eliminate wasted money, generate innovative ideas, and dramatically increase the enthusiasm and productivity of your workforce! A Business Process Consultant Can Put More Profits in Your Pocket (and Even Help You Sleep Better at Night)! What if you had an expert business process coach on your side to help you uncover the nagging problems that are keeping your business from being the best it can be? What if your coach could help you find the perfect solutions for your business… so that you could easily improve efficiency and make your business as profitable as possible? And what if your coach could help ensure that your business has the staying power to continue serving customers and experiencing growth for decades to come? You’d feel optimistic, knowing that you can finally resolve the inefficiencies that have been eluding you… so that you could begin correcting them and make your business stronger! You’d feel excited, knowing that you could finally position your business to take advantage of opportunities for growth… instead of letting those opportunities pass you by because you’re wrestling with what’s already on your plate! You’d feel energized, knowing that your employees are performing at optimal levels… and are excited about seeing your business succeed! You’d feel relaxed, knowing that detailed processes are in place to empower your managers to run your business flawlessly… even when you’re away from the office! You’d feel relieved, knowing that you no longer have to lag behind your competitors because of inefficiencies within your organization! You’d feel happy, knowing that you can finally take time to spend with your family instead of worrying about your business 24 hours a day! You’d feel accomplished, knowing that your decision to work with a business process coach has allowed you to build the strongest, most successful business possible! What do you think that would do for your income… your stress level… and your life? If you’re like most entrepreneurs, it would make a world of difference! Imagine going to bed at night and knowing that your business is running like a well-oiled machine… instead of worrying about what problems you’re going to have to tackle the next morning. Imagine actually going on vacation and rejuvenating for a week (or two! )… confident that your managers have the systems and processes in place to keep everything running smoothly! Imagine actually having productive meetings where everyone leaves enthusiastic and ready to bring new ideas to fruition… instead of leaving angry and feeling like their time has been wasted! And imagine your competitors wondering what it is that you’re doing right… and struggling to keep up with you! My name is Anthony Veltri (future self). I’m a business process consultant who helps business owners just like you discover strategic methods for improving processes, increasing efficiency, and increasing profits. 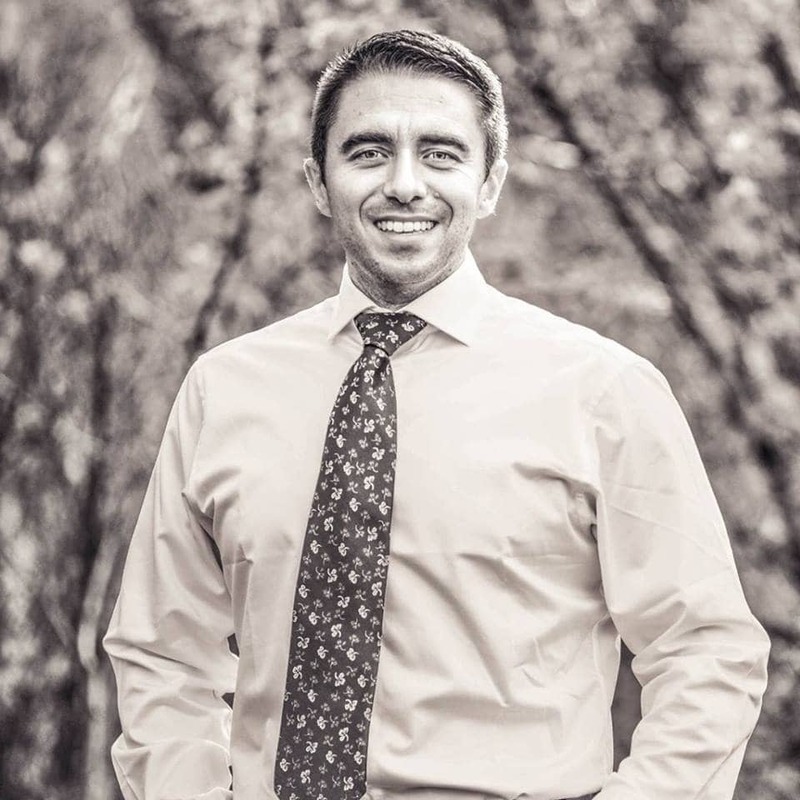 I’m both thrilled and humbled to be able to follow my passion, and I’m even more excited about the success I’ve helped dozens of struggling business owners gain. It’s impossible to know exactly how many lives my efforts helped to save during that deployment… but simply knowing that I made a difference was incredible. It was amazing to be able to use my knowledge of processes and technology to not only improve lives… but to save them. Nearly a decade later, I still haven’t experienced anything quite like it (even during my time working for the Department of Homeland Security)… and I’m grateful to have had the opportunity to contribute to such an important mission. After returning from the Gulf Coast, I discovered that the same processes and technology could benefit those who are struggling in their businesses. Because I have a passion for helping others, I wanted to translate my process-honing skills into a simple coaching method that business owners could use to improve their profits and enjoy a life outside of their businesses. I also wanted to make software available to business owners that would dramatically increase productivity and profits… while allowing them to step away from the mundane tasks that take up much of their time. I believed that entrepreneurs shouldn’t have to search for these tools on their own… so I wanted to give them full access to the software on a “done for you” basis. The idea became concrete one day when I sat in a boardroom with 17 executives who met to discuss ways to control costs, gain a competitive advantage, and improve employee morale and productivity. What struck me was the complete lack of organization that was obvious throughout the meeting. It seemed like these executives had forgotten the simple things we all learned in kindergarten… like listening to others and waiting for your turn to speak. Tempers flared… and nothing was accomplished. Now, here’s the thing. The combined salaries of these 17 executives added up to about $25,000 a day! So the company was wasting a HUGE amount of money for grown men to sit in a room all day and bicker… with absolutely no positive results. I set out to provide a form of consulting that is difficult to find today. It took me a long time to translate my passion for processes into a consulting approach that could truly help business owners… but once I did, the results were nothing short of phenomenal! I’ve helped business owners save millions of dollars by empowering them to explore the “why” of marketing expenditures (usually, the “why” was because someone told them they needed to invest in new, shiny marketing vehicles)! I’ve helped organizations build better teams by identifying and correcting weaknesses in their interviewing and hiring strategies! I’ve dramatically increased the effectiveness and efficiency of problem-solving sessions… saving time and facilitating simple, cost-effective solutions! I’ve helped business owners identify “money drains” that were eroding their profits year after year… and most of the time, they didn’t even realize what was happening! I’ve helped managers discover effective ways of motivating and utilizing employees to their fullest potential… improving productivity, increasing job satisfaction, and decreasing expensive employee turnover! I’ve provided business owners with access to a full suite of software tools to make running their day to day operations easier and faster… while improving profits in the process! I’m thrilled with what I’ve been able to do for business owners just like you. You see, it’s not just about profits and expenses… numbers on a page. It’s about empowering real people and giving them the tools they need to create dramatic change… not only in their businesses, but in their lives. I’ve watched business owners’ stress melt away when they finally uncovered the nagging problems that were holding their ventures back from success. I’ve seen them experience joy for the first time in years, knowing that they have the tools to create businesses that don’t demand their attention 24 hours a day, 7 days a week! And I’ve seen the satisfaction they get out of having a loyal, enthusiastic team of employees who are genuinely happy with the important work they do! But I don’t tell you any of this to be boastful. Frankly, I’m humbled to have the opportunity to help entrepreneurs just like you. I just want you to know that the situation you’re stuck in now doesn’t have to continue… and that I’ve helped business owners like you create incredible change! That is exactly the change I want for you. And if you think about it, that’s exactly the change you’ve been looking for in your life and your business. Right now, you have the opportunity to make that change a reality! If You’re Ready to FINALLY Address the Core Problems of Your Business… and Discover Real Solutions to Enable Growth, Profitability, and Longevity… You NEED to Contact Me Now! When you work with me as your business process consultant, you’ll be working with a professional who is an expert at uncovering and identifying opportunities for improvement. (You might have called them “problems.”) They’re the things that have been dragging your business down… creating discord among your employees and managers… and keeping you at the office late every night. We’ll work together to identify exactly what’s not working in your business. And we’ll develop processes to address these weaknesses and empower you to make your business the best it can be! And in many cases, the solutions involve the implementation of technology to streamline (and even automate) these processes… saving you time, frustration, and guesswork. I’ve developed strong business relationships with a wide range of technology vendors… so I can not only recommend process-enabling technology… I can help you get your hands on it as quickly and cost-effectively as possible! e’ll get to work helping you explore the root causes of your business frustrations and finding solutions to help you overcome procedural obstacles quickly and efficiently. I’ll also help you determine the software and other tools that can help increase efficiency and remove the potential for costly errors in your business. It’s important to understand that your coaching will be as unique as your business. No two business owners face the exact same struggles, so your solutions will be different than those I help other entrepreneurs discover. A “one-size fits all” approach just doesn’t work when it comes to implementing strategic processes. It would be nice if there was a “magic” way to ensure your success, but in the end, trying to force your business into a neatly-packaged, mass produced process model will do you more harm than good. I can create long-term and short-term consulting packages to meet your unique needs. I’m not going to keep stringing you along if you have challenges that can be quickly overcome – I’m all about finding solutions efficiently so that you can grow your business and lower your stress levels as soon as possible. But if you’ve been in business for years… we might need to work together for some time to fully unravel the problems that are hindering your success. It’s important to understand that my coaching practice is rooted in honesty and transparency. I don’t believe in blowing smoke and expecting you to pay me just because my words sound good. I’m here to help you bring about real, lasting change, and I don’t consider my job done until you have the exact tools and processes you need to make your business succeed! With that in mind, it wouldn’t be right for me to say that my coaching services are right for every business owner. That’s simply not true. So I want to let you know up front if we might not be a good fit. You’re not willing to invest the time, money, and effort into bringing about change and implementing business-strengthening processes. You believe that inefficiencies are just a normal, unavoidable part of doing business… and that you’re powerless to overcome them. You don’t have a long-term vision for your business… and you can’t look past what will happen to you today! You’re looking for a “magic pill” that will instantly fix your business without requiring any effort on your part. You’re not interested in developing a loyal team of managers and employees who are committed to your success! I’m almost certain that none of these apply to you. Otherwise, you wouldn’t still be reading this page. But I don’t want to create false expectations, so it had to be said. You’ll need to invest quite a bit of time into working with me. Your business challenges didn’t appear overnight, and it’s going to take some time and effort to uncover them and implement the processes needed to resolve them. But I assure you that your time will be well spent. I take a no-nonsense approach to helping you find the best solutions for your business. I’m not going to waste your time with a bunch of theories and fluff that don’t have any real-world applications. If that’s what you’re looking for, you’d be better served by picking up yet another management book or attending another motivational seminar. Now that we have that out of the way, let’s get started! Our sessions will be tailored to your unique business. I understand that you have a lot on your plate, and you probably spend more time than you’d care to admit managing your business (and putting out fires). You’ll get the support and guidance you need without the obligations you don’t want. Fill out the form below to get started today. Every day you wait is another day you have to wrestle with challenges that are affecting your profits, your employees, and the longevity of your business! I look forward to helping you create your ideal, profitable business (and getting back your life in the process)! P.S. : You might be reluctant to invest in my business process coaching services. I understand – I don’t know too many business owners who are excited about the prospect of taking on additional business expenses. But let me ask you… how much money are you losing every day because of procedural inefficiencies? How much money are you leaving on the table because of lost opportunities? I’m willing to bet it’s a lot more than you’re going to invest in business process coaching today! Ensuring projects are completed withing scope, on schedule and within a defined budget. Ensuring the right projects are undertaken to achieve the best outcome for the business. 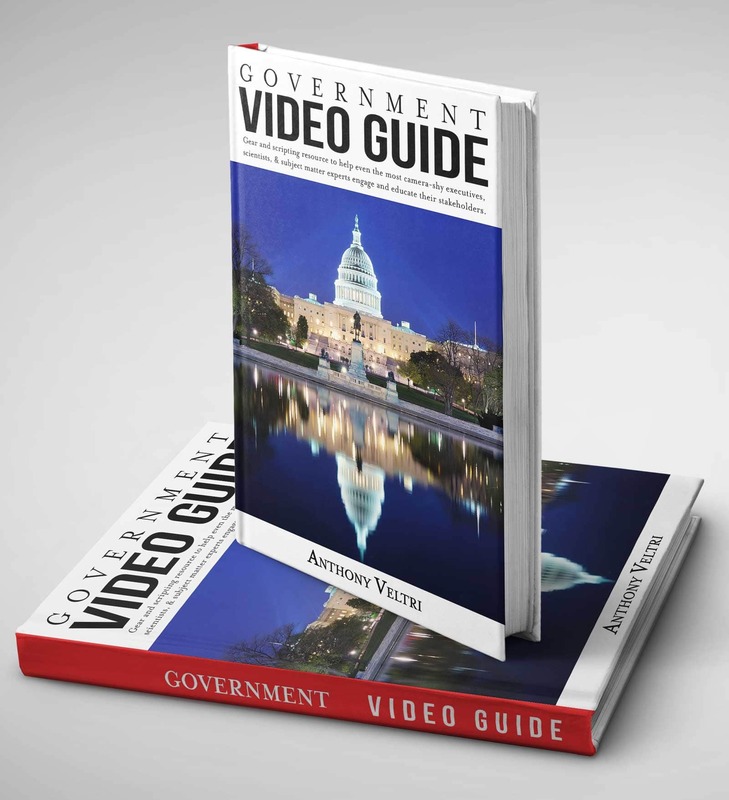 A resource that help government officials to appear on camera in a way that conveys their message while reflecting well on them and their organization. © 2008 - Present Anthony Veltri // ALL RIGHTS RESERVED.